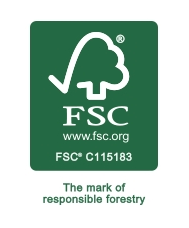 Over 25,000 sq. 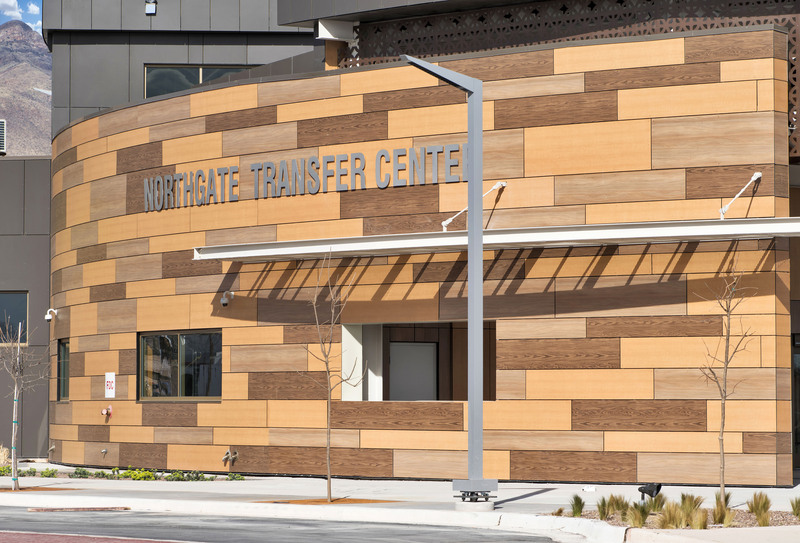 ft. of Stonewood Architectural Panels adorn the Northgate Transit Center in El Paso, TX. 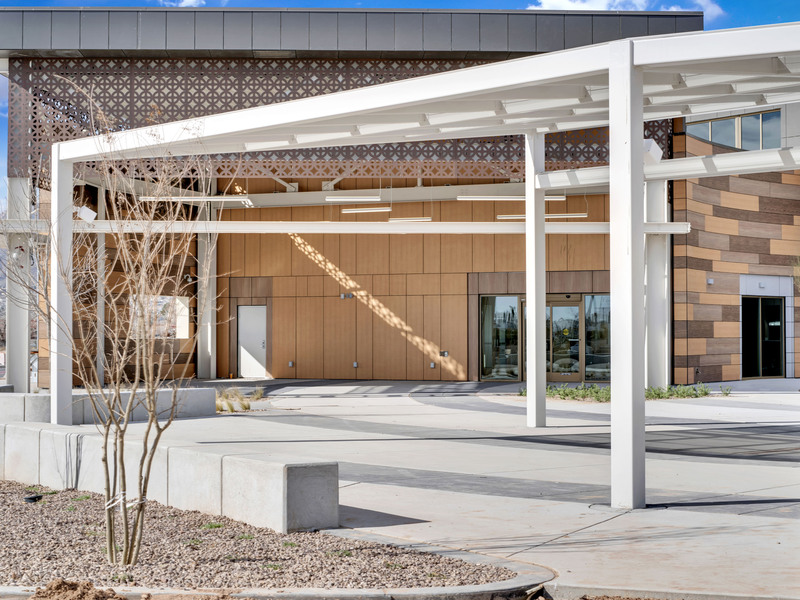 The Southwest inspired building, designed by Exigo Architecture, features an inviting woodgrain pattern that reveal textures reminiscent of a desert landscape. 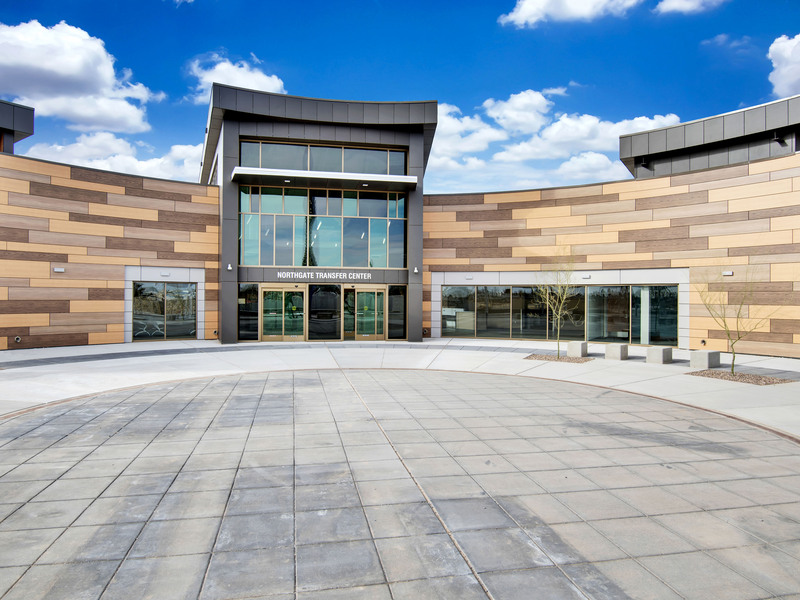 The mixed-use project converges multiple spaces, each with its own Stonewood panel design. 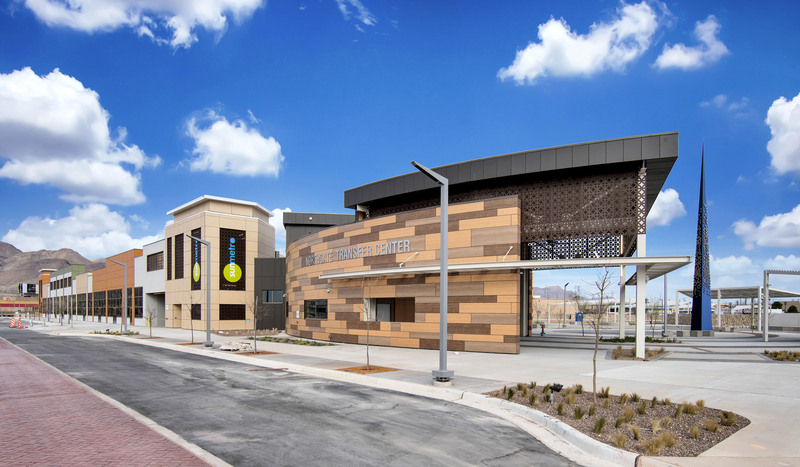 Gray panels accent the Transit Center and playfully contrast the bold design choices of (orange) and (green) panels on the Retail Area. 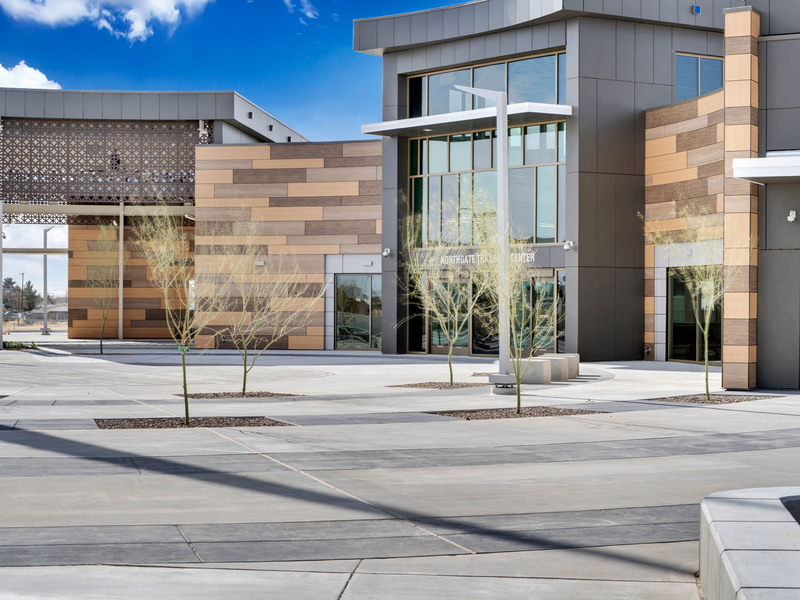 A combination of mixed woodgrains enhance the Parking Garage and a Plaza for Art and Community. 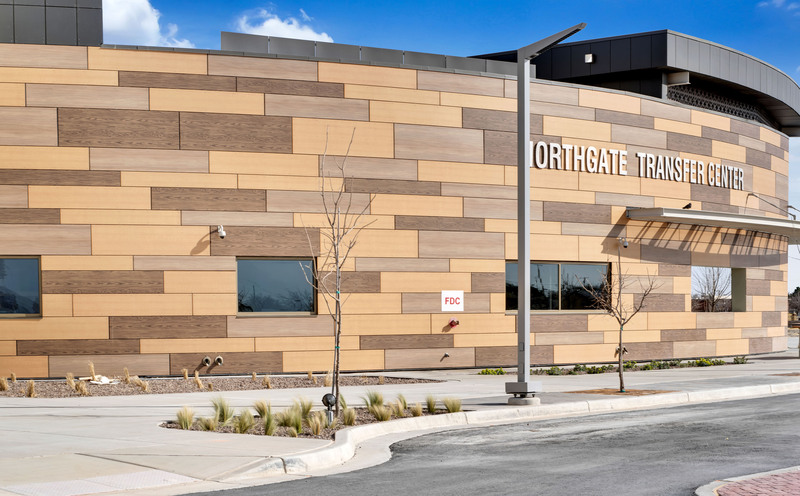 The architect explicitly specified Stonewood Panels for the project, citing their architectural adaptability and domestic production – both which helped the project stay in budget and meet local sustainability ordinances. 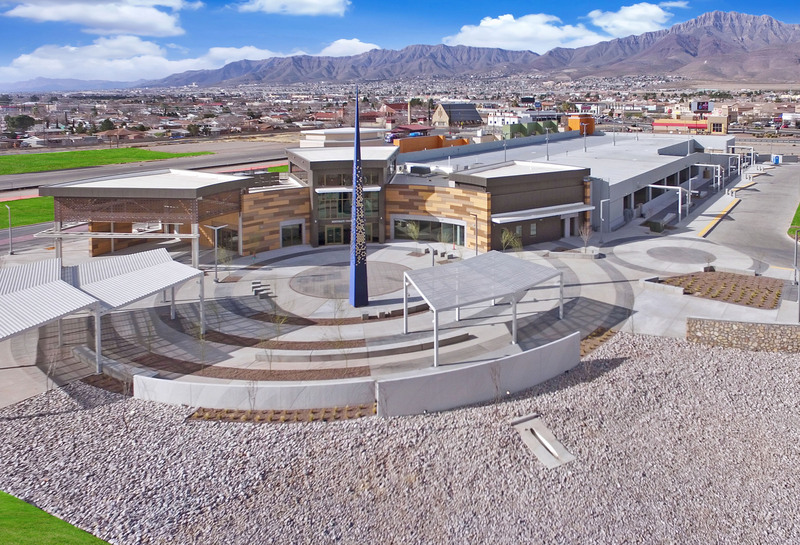 Northgate Transfer Center is slated for LEED Silver and will be at the center of transit-oriented development (TOD) in Northeast El Paso.